Renovation has worked out. . .
Demolish and begin anew or work with what you have? 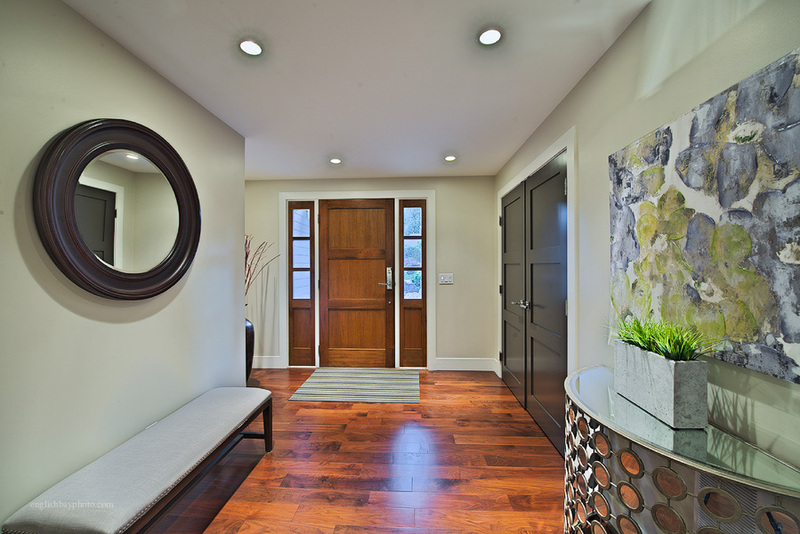 Many homeowners will ask themselves that question before investing substantial dollars in a renovation, or won't consider a reno at all, preferring to build a new home with all the modern conveniences. 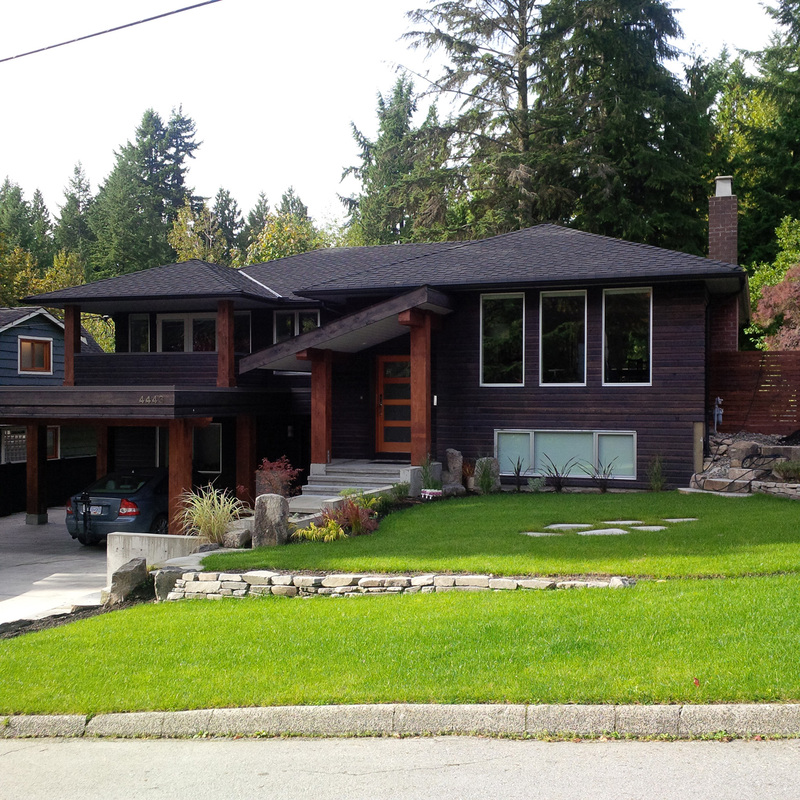 But for North Vancouver homeowners Myra and Ken Statham, the thought of demolishing their faded old-timer in favour of a contemporary home was never a question. 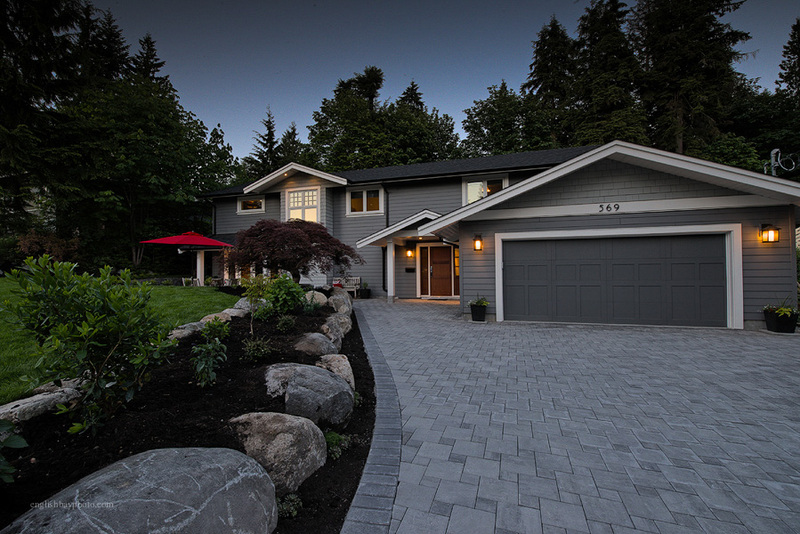 While others may have looked at their prime duplex-zoned lot and envisioned a modern home, to take full advantage of the site's city and water views, the Stathams' immediately realized the existing home's potential. There would be no demolition crews hired here. The couple followed their hearts and set about revitalizing the 1923 Arts and Crafts-style house, known as the "Eliza Piper" home after its first homeowner. Now near the end of their renovation, the Stathams can enjoy the best of both worlds -- a charming character home that captures the great views. "I grew up in Victoria, and while our house [there] was built in the 1950s, it was surrounded by these lovely old houses. I've always loved old homes," says Myra. Their renovation project, which began last August, would also come to include the construction of a new coach house in the rear of the 15-metre by 37-metre lot. That house, which they plan to sell, was designed to complement the character of the main house, with its overheight ceilings of nine and half feet, hardwood floors and its 15-centimetre mouldings throughout. The Piper house was bought in September 2002 for investment purposes, but the couple was so charmed by its style they decided to sell their large, contemporary split-level home and move in themselves. "That home [the split-level] was on a cul de sac, a real family area. It was great when the kids were growing up. But they are grown now, and this was an opportunity to live in a heritage home. We've had a lot of fun with this project. You learn so much about your house and about heritage homes in general," says Myra. "We've learned a lot through the process. So much so that I wish we could do it again now that we have all this knowledge." In both the renovation and new construction project they undertook, the couple's appreciation of heritage homes is evident in the period details they either restored or created. For instance, the Stathams wanted to take full advantage of the south-facing, panoramic view of Burrard Inlet from their master suite. But they didn't want the view at the expense of the home's character. Instead of installing floor-to- ceilings windows from this prime vantage point, the couple chose to build an old-fashioned sleeper porch instead. The windows and glass door to the porch were reduced in size in order to accommodate period moulding details. They still have a view, albeit an abridged one, but their master bedroom also maintains the home's original character. Another smart design decision regarding the sleeping porch was providing access to it from the second floor hallway as well, so guests do not have to go through the couple's bedroom to enjoy the space. The new coach house was also given a sleeper porch, similar to the Piper home. And its roofline was reduced so as not to block the view of the rear neighbours. 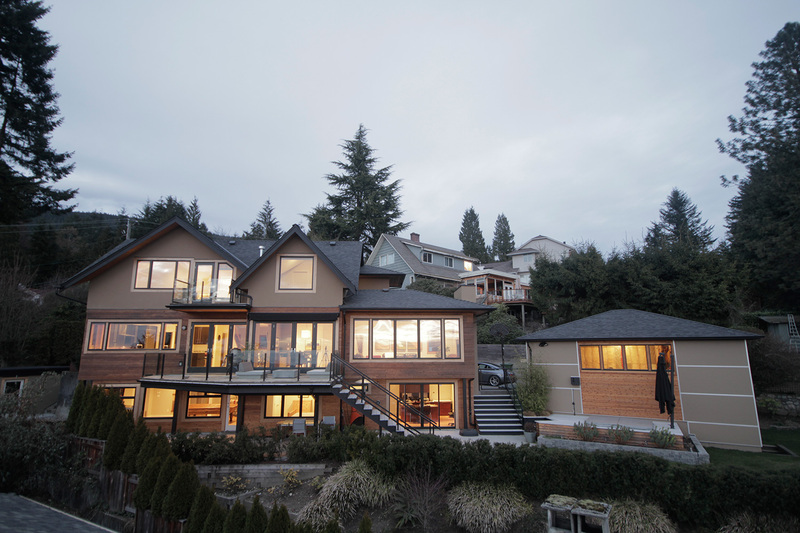 Helping the couple to restore the original house and design the new/old coach house was Jim Bussey of Formwerks, an award-winning Vancouver company known for designing heritage homes that function for today's families. Myra says with the new coach house Bussey "did a fabulous job keeping the look of the old and bringing in the light." "We wanted to replicate the main house as much as possible," says Myra. 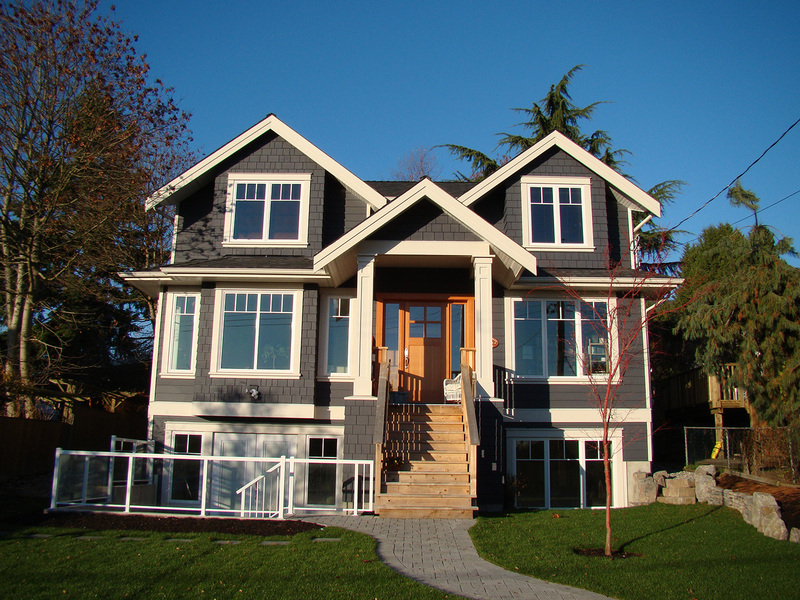 "The main house renovation and the coach house have been architecturally designed and both our architect and contractor are, or have been, on the Heritage Design Committees for both the City and District of North Vancouver so we're very comfortable that they were the right choices for the project." 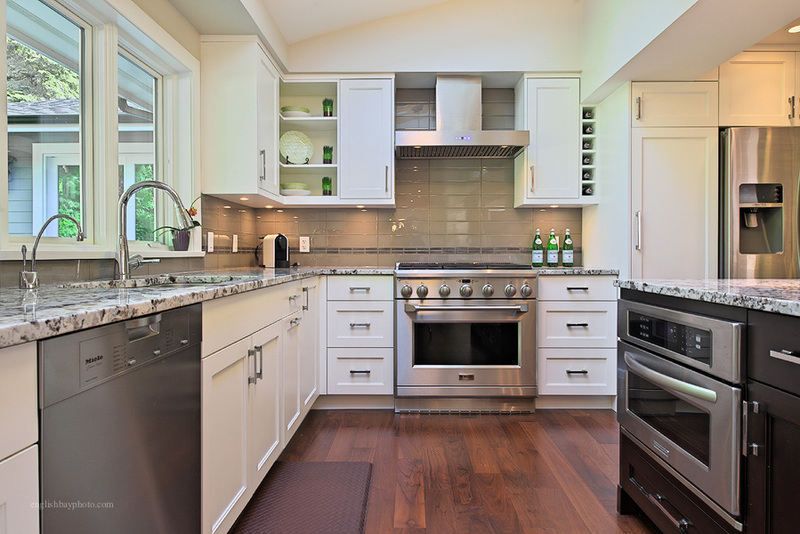 The contractor was Eric Sandberg of Desakota Developments Ltd.
Cabinets: Nickels Custom Cabinets. Finish is an antique white, with mocha rub, ivory stone tile countertops. 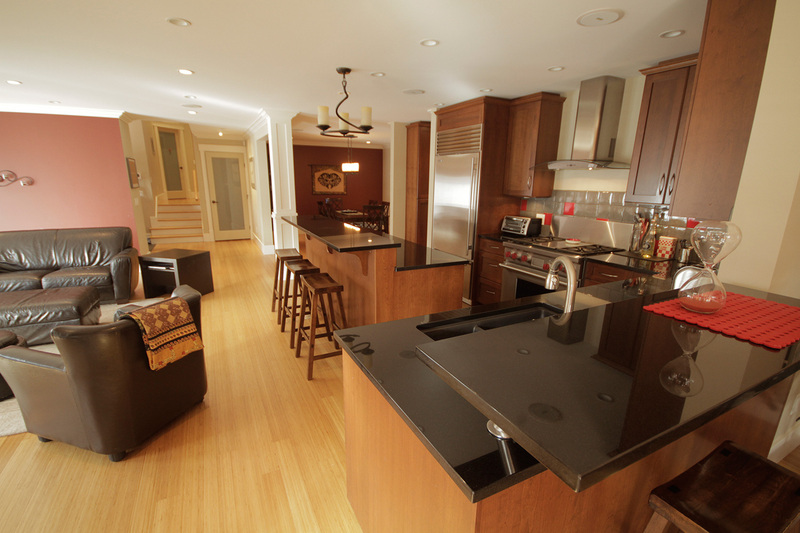 The kitchen island is a cherry copper with an Okite Crema Marfil quartz counter top from Bordignon Marble & Granite. Woodwork in the living room is almost entirely original, with the exception of the fireplace and french doors. Dining room fireplace is original with coal-burning insert. The Coach House was designed to replicate the main house on the exterior. It's approximately 1500 square feet on two levels, with two bedrooms and 2-1/2 baths. The master has a sleeping balcony and large ensuite. The kitchen has cherry cabinets, granite countertop with tile backsplash. Gas fireplace in the living room with granite facing and wood fireplace surround. Fireplace is flanked by french doors on each side out to a patio with country paving stones.